Hospital Forever Young Zones are recreational therapy rooms created to provide tools for exercising the imagination of seriously ill children who face emotional and physical challenges. 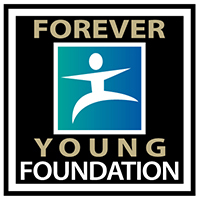 Forever Young Foundation has three such Zones in the following children’s hospitals: Primary Children’s Medical Center in Salt Lake City, Utah; Lucille Packard Children’s Hospital in Palo Alto, California; and Banner Children’s Hospital in Mesa, Arizona. These Zones provide a safe place where staff can build supportive relationships with children and teens to help them in their recovery process. They provide a sanctuary where children working through serious illness and rigorous treatments can relax, play, and just be a child. 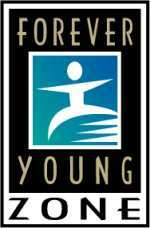 Forever Young Media Zones provide a state-of-the-art radio, TV, film and design studio, as well as a professional-quality recording studio with an isolated vocal booth and digital audio mixing. This multimedia equipment and programming will enable youth to develop diverse, high-level communication skills while training on professional equipment. The goal of these zones is to put technological tools into the hands of creative young people, allowing them to explore and prepare for careers in media and design while developing practical production and copy through their own artistic expression. The 8 to 80 Zones are a collaboration between Steve Young and Jerry Rice, which provide youth living in underserved communities the skills to pursue careers in technology and media. Steve and Jerry’s partnership with The 49ers Academy continues to offer creative, exciting experiences to youth that attend the school. The 8 to 80 Multi-Media Zone not only allows for artistic expression but also affords students the opportunity to gain training on industry-standard equipment and software in the areas of television, radio, voice recording and graphic design. The uniqueness of the 8 to 80 Zone also provides additional fundraising opportunities for the center. Steve and Jerry are looking forward to building more 8 to 80 Zones in the upcoming year.